Ever noticed how much we humans love to anthropomorphise? This seems particularly true of birds. If I see a group of pigeons, I might mention them gossiping, or if I see a pair of ducks in a hotel swimming pool, my immediate thought is that they’re on holiday. 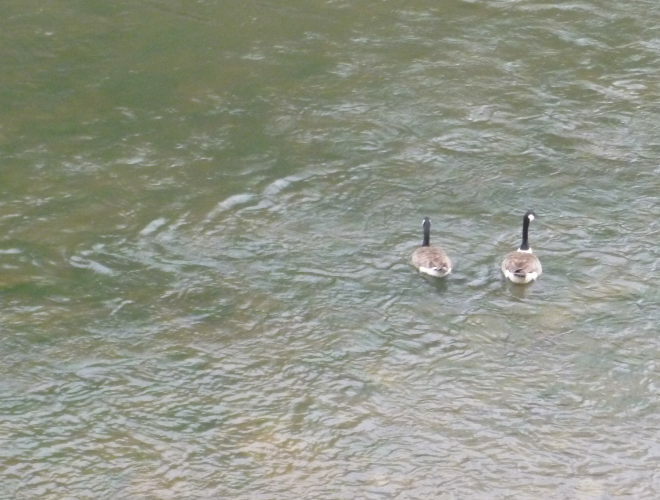 How about these geese spied recently in Bristol and looking somewhat peeved as the rain churns up their holiday idyll? How might their conversation go?